Reece Early held St. Vincent Pallotti to three hits over six innings, while striking out six, to pitch Gerstell Academy to a 2-0 win over the Panthers, Tuesday at Panther Park in Laurel, advancing the Falcons in the MIAA B Conference double-elimination baseball playoffs. The Falcons (11-10), who are scheduled to meet Severn in the next round of the elimination bracket at Kinder Farm Park on Wednesday afternoon, broke open a scoreless game with a run in the fifth and added an insurance run in the seventh to secure the win. With the score knotted at zero in the fifth, Max Friedman tripled into right center field. When the relay throw was bobbled, Friedman was able to slide into home just before the throw to put the Falcons up 1-0. Matthew Szedlock came in to shut the door and earn the save. Gerstell set to play its fourth game in six days in the MIAA playoffs, hopes to play right through the weekend. The Falcons beat St. John’s Catholic Prep on Friday to stay in the winners’ bracket, but lost to GCS on Monday. The Gerstell/Severn winner will face the loser of Wednesday’s winners’ bracket final between top-seeded Boys Latin and second-seeded Glenelg Country, on Friday. 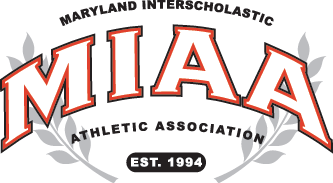 The BL/GCS winner advances to Sunday’s finals at Harford Community College (1:00 p.m.), without a loss, opposite the winner of Friday’s final elimination game. Of course, the undefeated team will have the luxury of needing only one win to claim the championship, while the other will have to win twice.